The decision to allow for the sale of low THC hemp foods at the Australian and New Zealand Ministerial Forum on Food Regulation came late last week after several prior proposals had been knocked back. The international market for hemp foods is currently estimated to be worth AUD $1 billion annually. It is expected the demand for Australian hemp foods will now quadruple over the next few years. 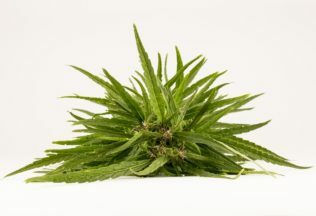 Associate Professor in Nutritional Science at the University of Canberra, Dr Duane Mellor, welcomed the decision, saying hemp is a “great source of protein” and a “vegetarian source of omega 3 fatty acid”. “It can be used as a crushed seed, flour, oil or protein powder, which can be used in a variety of recipes and foods, from breads, through burger patties and even in desserts and confectionery,” Dr Mellor said. Hemp manufacturer, Hemp Foods Australia, has also welcomed the decision saying both farmers and high-end restaurants have already expressed interest in farming and using low-THC hemp in recipes. “In addition to added job opportunities for Australia’s farming industry, this is a very positive step towards more sustainable farming in Australia,” said hemp Foods Australia founder, Paul Benhaim.